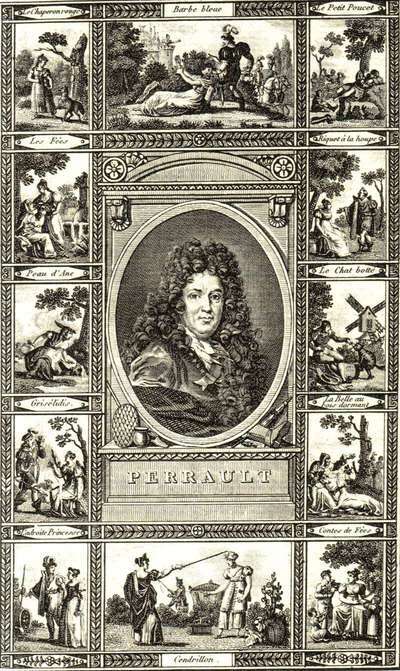 A folklorist widely considered the inventor of Mother Goose and the Fairy Tales genre, Charles Perrault (1628-1703) was a French writer who created a remarkable collection of stories under the name of his son, which became known by its subtitle, Tales of My Mother Goose (1695). They include what came to be called "nursery rhymes" and familiar fairy tales including: Little Red Riding Hood, Cinderella, Sleeping Beauty, and Puss in Boots, just to name a few. 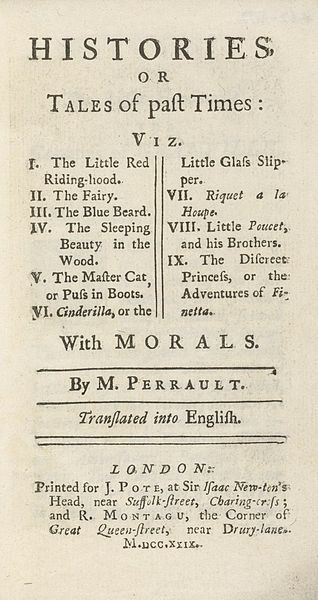 Perrault is credited as the true originator of Mother Goose stories. 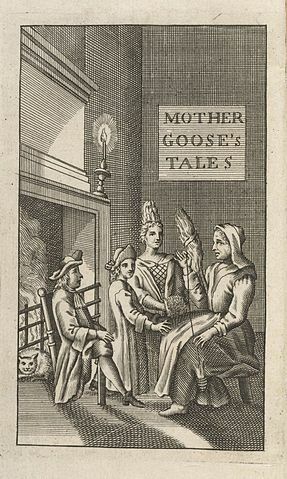 His book was first translated into English by Robert Samber in Histories or Tales of Past Times told by Mother Goose (1729). Mother Goose wasn't widely known in America until after 1786, when Maby Isaiah Thomas reprinted Samber's book of the same title. American Literature offers numerous fairy tales in our Children's Library from a variety of authors including Perrault. We selected our favorite authors' retellings for your enjoyment. Visit American literature's Mother Goose for our selection of beautifully illustrated nursery rhymes by William Wallace Denslow (1901). Some of our favorites: Humpty Dumpty, Little Miss Muffet, Little Jack Horner, Pat-a-Cake, Pat-a-Cake, Baker's Man, and Polly, Put the Kettle On. These will take you way back! Thanks to Mr. Perrault for giving us Mother Goose and creating fairy tales back in the 1690's, so that we may continue to enjoy them to this day with our own children.